How I struggle to be still and what I plan to do about it. Do you struggle with finding time with God? Struggle to turn off all the to-do lists and things you can’t stop thinking about that need to be done? 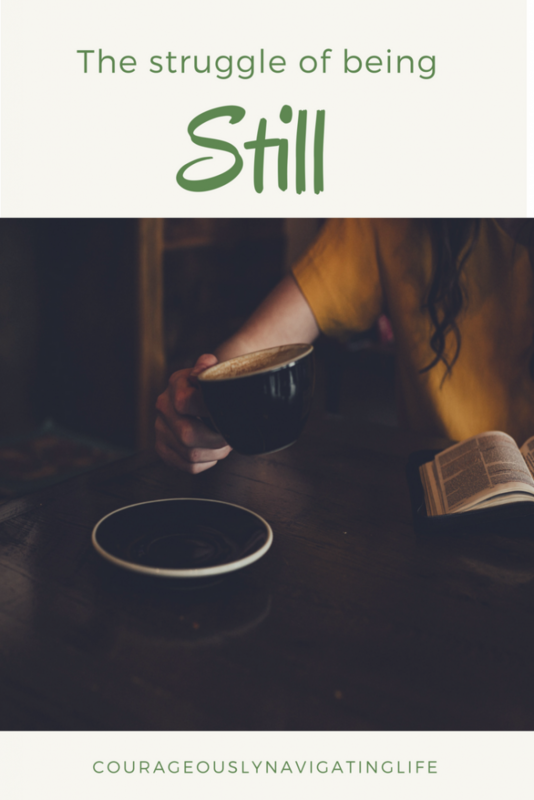 Do you struggle to be still? Can you tell when you haven’t prayed or read the bible? For me, things start to feel like it’s the end of the world. You know? The little things start to feel like big things, you’re irritated, frustrated, not so patient with your spouse or kids? Your mind takes off into all the dark places, anxiety, worry and you kind of just start to go a little nuts. Since becoming a mom I’ve noticed those dark places are all of a sudden worst case scenarios. Or is that just me? I thought I’d talk to you guys about my struggle of being still and why I need to make more of an effort to do it. There’s nothing like that early morning feeling, you know, the quiet, stillness. The world is still asleep, the sun is coming up, the dew on the grass. Definitely one of my favorite times of the day. Spending time in the word and in prayer, spending some time in the stillness of that morning feeling always leaves me with a sense of peace. Knowing God is there, my savior and friend, it’s such an amazing feeling. One that I take for granted. When things get busy or something comes up it’s so easy for me to put my time with God aside. To prioritize work, my blog, my favorite TV show or book over God is something we all I do I think. This society shows us that we have to be busy, always on the move, doing something. Being still and just listening is becoming less common. I’ve been trying to make a regular habit of spending time in the word of God. It was hard before, now that I have a little guy who takes up all my time it’s even harder. That’s no excuse, though. I need that time, that stillness. Not only is it what I need, but I think that it’s important for my son to grow up seeing. That his parents take the time to pray and read the bible. To be still and listen for God. Every time I sit down to read or pray my mind wonders – thinking of all the things I could be doing or things that need to be done. I stress and worry about the little things, and I forget that God is there not only for the big things but those little things too. I miss that peace. It isn’t until life becomes overwhelming that I remember to prioritize God and that’s not okay. I often struggle with just sitting down and reading the bible. Anyone else? I find certain passage is hard to understand. Sometimes I feel like I have no idea what I’m supposed to get from it. I find devotionals help keep me on track and allow for me to really immerse myself in the word. They give you a passage to read and help understand that passage a little better. Talking with others also is a great way to better understand what you’re reading. That’s why connect groups and other Bible study groups are a great way to read the word. I recently found a company, The Daily Grace Co. which provides so many great resources for women. Their devotionals are amazing and they provide many other facebook support groups and other resources for women all over the world. I need to make God my priority, so I’m going to make a plan. I need to make spending time with God in his word and in prayer part of my everyday routine. No matter what, I need to make time for him. So whether I get up just a little bit before my little guy or spend some time during his first nap, sometime in the morning. 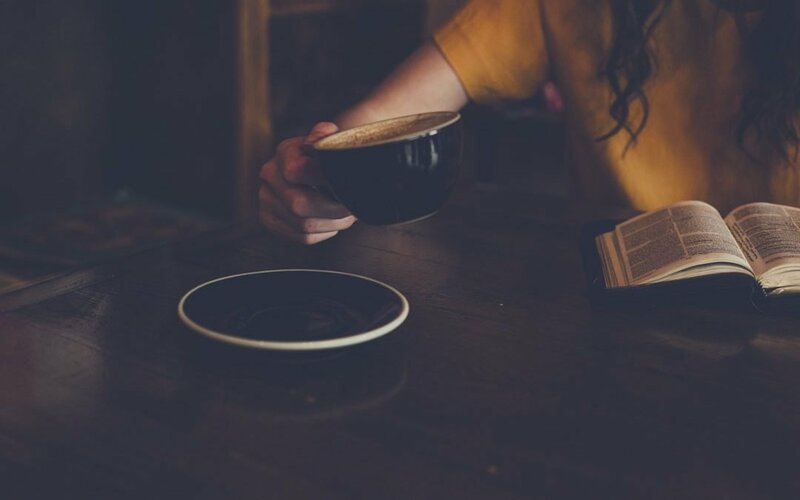 I’ll wait to have my coffee and sit down (that way it doesn’t get cold) and grab a journal, bible and my devotional. Somewhere quiet and I’m going to start with a prayer – to help me understand and to be open to what God has to tell me. I’ll pray that I can be still (Psalms 46:10) and really listen and quiet my mind. I’m going to follow my devotional and write down questions, comments and anything else my devotional may have added into my journal. There are many great Godly women in my life that I can ask those questions I might have, so by writing them down I won’t forget them. This is my plan. I’m going to make God an essential part of my day. I just know that not only will it give me the strength to be the best mom and wife that I can be, but the best version of myself for anyone who I come across. It will help me be the Godly women that I’m meant to be. The best part, the relationship it creates with God and that peaceful feeling that can make each day great. Got any other tips about reading God’s word? Or any questions about what I do? Feel free to contact me! 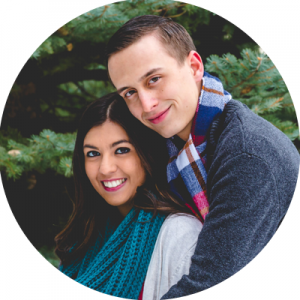 I would love to hear from you guys. It can be hard to keep that habit of being in the Word. I need to always remember that, when I do it, it is the favorite thing I did that day. It centers me. This was a great post and inspired me to continue to pursue God through His Word.